New Jersey will join seven other states and Washington, D.C., in allowing terminally ill patients to end their own lives when a new law takes effect in August. Gov. 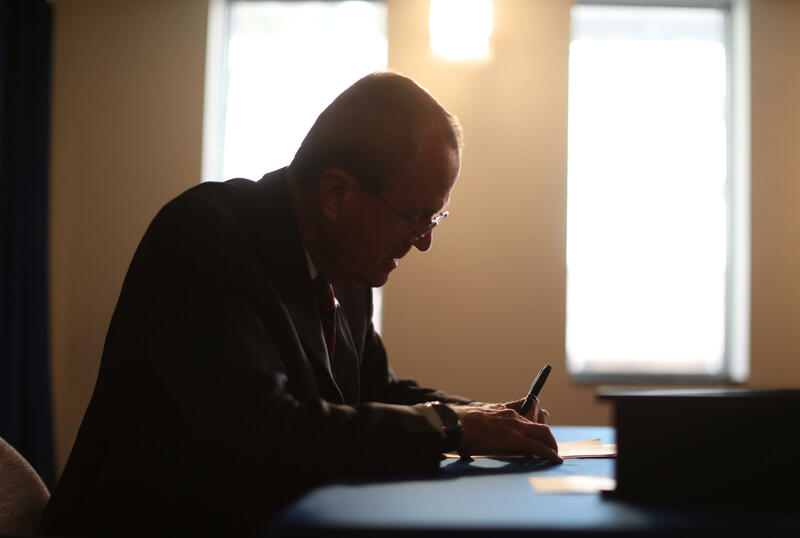 Phil Murphy signed the bill late Friday after struggling with the decision as a practicing Catholic. “This is not a question of whether they’re going to die in the near term. They are going to die, sadly. And the question is: Can we find a more humane, painless — or at least less painful — way for them to go through that last stage?” Murphy said at an unrelated press conference Monday. Terminally ill patients would have to meet with two doctors and wait at least 15 days before they could get the lethal drugs. Two witnesses would also have to be present. Advocates and lawmakers said it was a major step forward for patients suffering from the unremitting pain of a terminal illness. Opponents, including religious organizations and some Republican lawmakers, argued that patients should not have the right to end their lives and warned that the process is ripe for abuse.